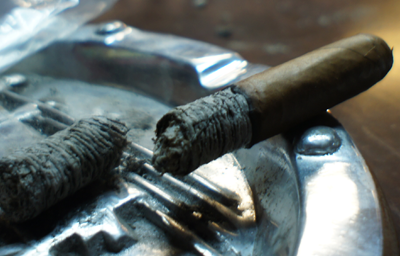 Quote and video from the Bonita Smoke shop webpage: Bonita's 18th Anniversary cigars epitomizes all that is desired in a high quality premium hand rolled cigar. 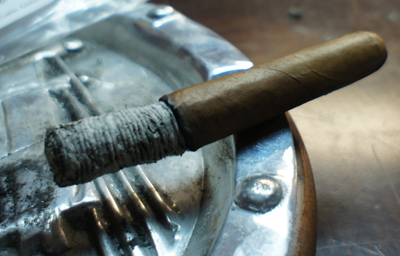 Custom blended of the finest tobacco and made expressly for Bonita Smoke Shop. Available in Limited Short Runs at our store and online. Enjoy one soon! Our sincere gratitude to Willie Herrera of ETB Cigars for helping us create a cigar that we are honored to put our name on. 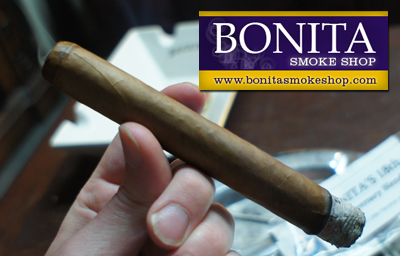 Bonita's 18th Anniversary cigar is an extremely well balanced cigar, with a delicious crescendo of flavor, in the medium flavor profile range. They aren't many names as popular right now as Willie Herrera, so I can't wait to try another one of his custom blends. I've smoked a lot of cigars this year with Ecuadorian Sumatra wrappers and I don't think a single one had been this light in color. It was a light peanut butter colored wrapper with just a few small veins. The construction was very nice, especially at the cap, which was perfectly applied. No sloppy glue or uneven application here. The pre-lit aroma smelled strongly of walnuts. I've been picking this up a lot recently and I relate it to the big bag of walnuts my mother-in-law got me for Christmas that I'm still working my way through. The pre-lit draw also had a nutty taste, mixed with some sweetness. My Bonita's 18th lit up very easily and produced very thick clouds of smoke. I had to turn on an extra fan in the smoking lounge just to clear the air a bit. The initial flavors were wonderful with lots of black pepper (hitting hard on the taste buds in the middle of my tongue) in the front of the profile, with a very interesting plum, or dark pitted fruit finish. Unlike the walnuts from the pre-light, this is not a flavor I pick up a lot in cigars and not something that eat a lot of in my monthly diet. So for me, it was definitely surprising. The burn and draw were just fine and cigar was easy to smoke. The strength through the first third was in the medium range. The second third of my Bonita's 18th saw the black pepper move away from the front of the profile and become a staple on the finish. I was kind of bummed to see the plum/jam flavor leave the cigar altogether, but if it were going to go away, a spicy finish is a good replacement because it's what I typically prefer in cigars. The front of each draw had a new flavor now and it was graham cracker. I know a lot of people who are a fan of this graham/pepper combo and I am one, too. The construction was just as good as the first third and the strength still a solid medium. The final third of my Bonita's 18th was pretty much a clone of the second third albeit a little milder in taste. I still got the graham cracker flavor front with the pepper kick on the finish, but it wasn't nearly as in your face as the second third. A little flat, but still enjoyable. I'm not sure if the cigar is designed this way, but in the final third when the flavor was getting mild, the nicotine punch of the cigar was ramping up. The cigar finished in the full strength range for me. Not a head spinner, but a lot stronger finish than what I was expecting. 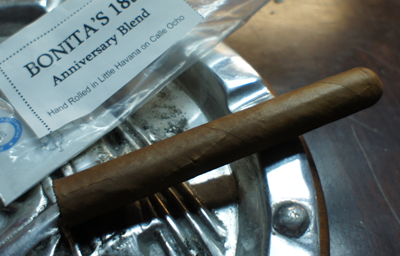 My final thoughts on Bonita's 18th Anniversary Blend? 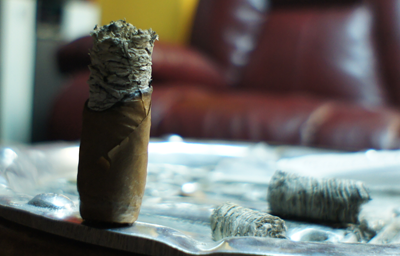 I'll be 100% honest: this cigar surprised me a lot. I'm not sure why, but I wasn't expecting a lot and a lot was what I got. The flavors in the first and second third were right in my wheelhouse for what I reach for every time I'm at a shop or open my humidor. Before you blow this off and think I wrote a good review because I consider Bonita a friend or because they are a sponsor of this site, please do yourself a solid and try one of these. 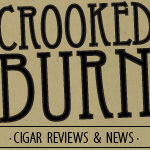 If you're a peppery cigar fan, I'd be shocked if you didn't like it. Would I buy a box? At that low a price, for me it's a no-brainer. Definitely box worthy.